Indie Retro News: Foggy's Quest to Narg and Back Again - John Blythe‎'s ZX Spectrum game has arrived! Foggy's Quest to Narg and Back Again - John Blythe‎'s ZX Spectrum game has arrived! 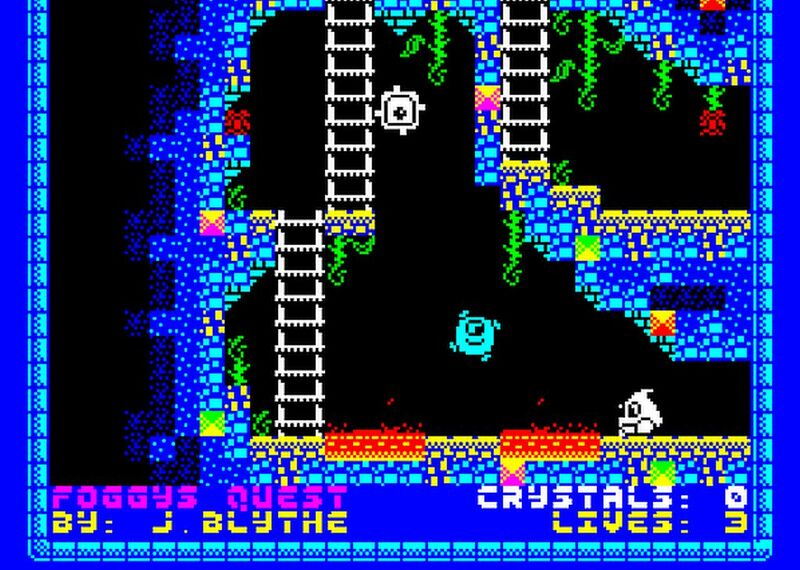 Hot off the press for all retro gamers as John Blythe has finally announced the release of ' Foggy's Quest to Narg and Back Again ' for the ZX Spectrum. Developed using the popular software Adventure Game Designer, this game puts you in control of Foggy, who is on a quest to find the lost crystals stolen by the evil NARG's from his very own ship. If he can find them through the dangerous caves and get back to his ship, he can get away from this awful place for good! Prepare yourselves for another great ZX Spectrum game released this month, as Foggy's Quest by John Blythe features great ZX Spectrum graphics, strange enemies to avoid, deadly obstacles such as red hot flowing lava and lots of deep underground caves to explore and to admire. I'm sure just as with the BBC Micro and Electron horror 8bit adventure The Darkness of Raven Wood by the same developer, you'll want to come back to this game again and again. Links : 1) Source 2) Play Online!